Fit for service businesses, billing rate in Quickbooks is pricing system that calculates the amount your client will pay you on time spent. Quickbooks help small businesseses track time with Time Worksheet so that when you conclude a client’s project, it will multiply the billing rate by the total hours spent to report your expected income. 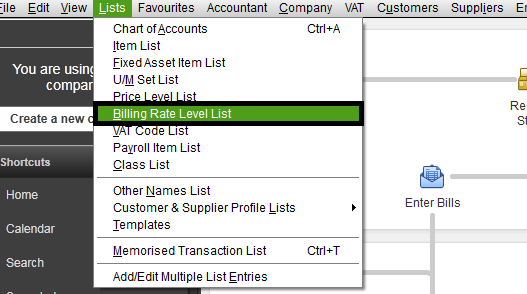 To set the billing rate for your business, click List and select Billing Rate List. At the bottom of your Billing Rate window, click Billing rate Level and Select New to add a new billing, edit or delete a billing rate for a specified service. 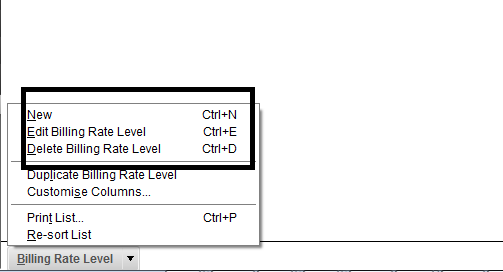 Billing Rate Level Name: Enter the description of your billing. Fixed Hourly rate: As the name implies, you select fixed hourly rate if you have a fixed billing rate and Enter the amount per hour. 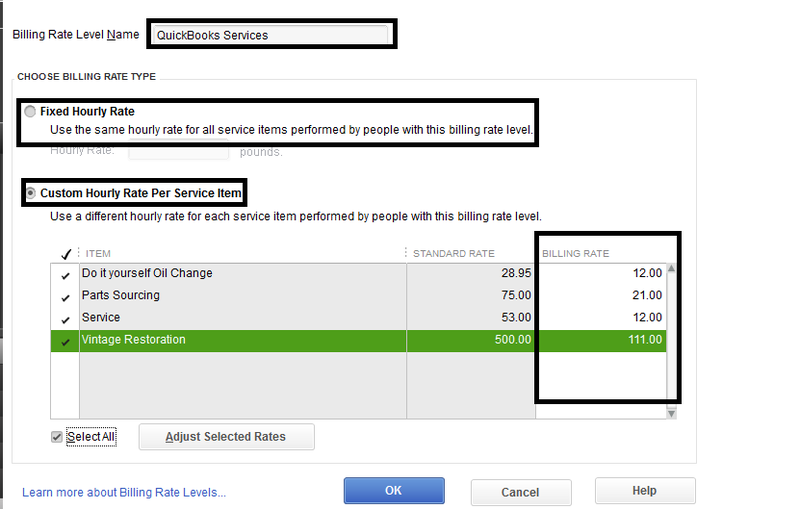 Custom Hourly Rate: Use this section to customize the billing rate on each of your services.